S &M Heating & Sales Company was founded in 1961 by today’s company President Jeff Laski’s father, Sam Laski, and uncle, Manny Laski. 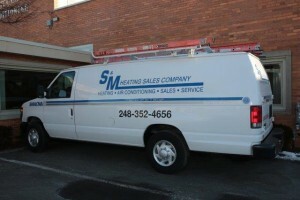 S & M Heating Sales Company with the name change to S & M Heating & Air Conditioning started out servicing mainly new homes and apartment builders, but eventually developed commercial, industrial clients and a service department. 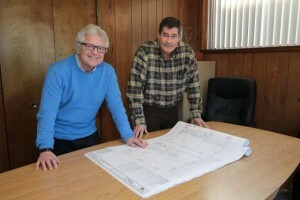 The company continued to grow and by 1974, Jeff welcomed his business partner, Richard Darin. S & M has been providing decades of dependable service and customer satisfaction. Whether your needs are large or small, we are committed to delivering the highest degree of personalized service, with a full range of services including central cooling, central heating, humidification systems, air purification systems controls and more. Our plan is to continue to differentiate ourselves from the rest of our HVAC competitors through unique positioning, strong history and ongoing commitment to providing superior and unparalleled customer service. We look forward to helping you with your air conditioning, and heating needs. We are available around the clock, 365 days a year. Our service department includes a full fleet of qualified technicians to serve all your needs. S & M deals in a wide variety of HVAC and mechanical engineering applications, from residential heating systems to large commercial industrial design/builds. We employ a full engineering department and staff, as well as a fully stocked metal shop and HVAC service department. Are you looking for a new heating or air conditioning system? Does your existing system require expensive repairs? Maybe it’s not running as efficiently as it should be! Whether your needs are residential or commercial, turn to S & M Heating & Air Conditioning for quality service and competitive pricing you can count on.